How to Encourage Your Customers to Buy Reusable Cotton Bags. If you are a retail store owner, then you probably offer plastic grocery bags to your customers to carry the items they bought from your shop. While plastic grocery bags have received its fair share of criticism, shopkeepers are reluctant to let go of them yet. One of the reasons cited by most shop owners is that plastic bags are cheaper than other carrier bags including brown paper bags. However, most shop owners already charge money for grocery bags. In some states and countries, government laws prohibit store owners to give away plastic bags for free. If shopkeepers are already getting back the money they spend buying plastic bags, then it really doesn’t make a difference if they are cheap or expensive. From the shopkeeper’s perspective keeping a stock of cotton grocery bags and offering them to customers for a price should be no less profitable. There are more than a few customers out there who are willing to pay extra to buy biodegradable bags. They simply don’t buy them because they do not get a choice. The best way forward is to offer both biodegradable cotton bags and regular plastic bags at the store. This simple move will not only allow you to add an item to your inventory and make more money but also reduce the total plastic usage. One of the ways to kill two birds with one stone is to sell bags with your store’s logo. You can offer it at a discounted price because these bags will help promote your brand and encourage new customer walk-ins. Cotton is an excellent branding material that holds onto ink and paint really well. 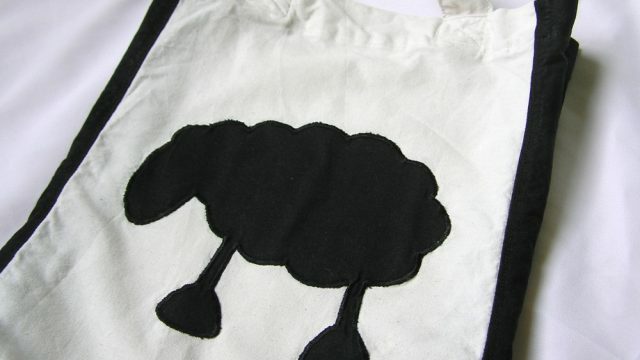 You can even bulk order cotton printed bags with logo online and resell them to your customers. Following are a couple of advantages of offering cotton bags with your store logo. There is Little Chance of Incurring a Loss: When you order the cotton bags with your store logo consider it as a marketing expense. Even if you have to give them away for free they will always help boost brand visibility. Considering the demand for biodegradable and eco-friendly solutions, you should be able to sell them out fairly quickly. Encourages New Customer Walk-Ins: The branding on the bag encourage customers to talk about your store. The word-of-mouth marketing can help you get a higher footfall and thus boost the bottom-line. To be able to encourage customers to pick up cotton bags instead of asking for plastic ones you need to put on a show. By show, we mean a great display stand that highlights the Earth-saving benefits of making the right choice. Make sure the cotton bag display stand is right near the checkout counter. There are two reasons for that. Firstly, people tend to do the right thing when they know other people are watching. Also, displaying the bags near the checkout counter targets impulsive buyers who are already done with their shopping.